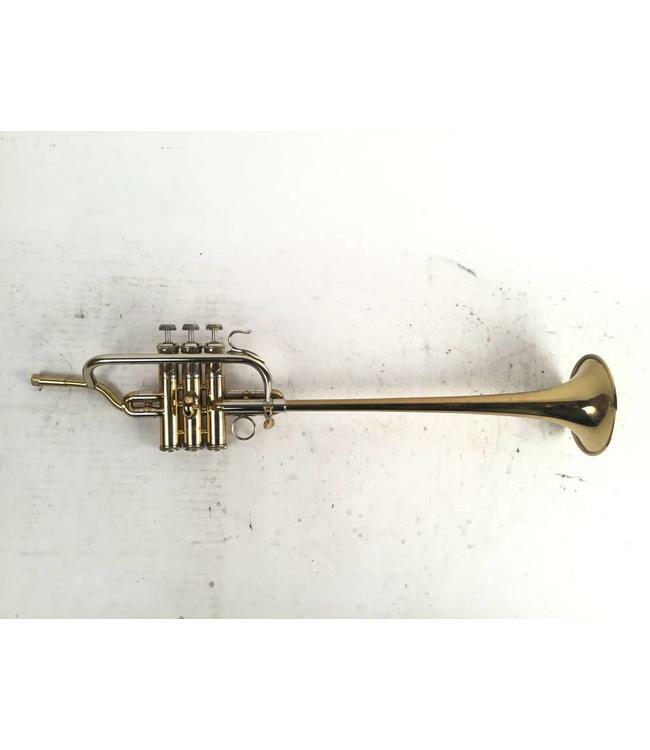 Used Bach Stradivarius model 311 Bb piccolo trumpet in lacquer. Overall good condition with lacquer wear throughout, dent in 3rd valve slide, and minor dents/dings throughout not effecting play ability. Bottom sprung valves and detachable bell "Triumphant Style". Includes case.